1 LATE MODEL Duke Subway Edition Sandwich Prep Line That Separates Into 3 Pieces! 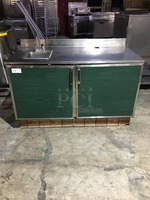 2 Refrigerated Sandwich Prep Stations With 1 Well Steam Table! With Cup Dispensing Station! With Curved Front Sneeze Guard! Model SUBCPTC60 Serial 09140462! 120V 1Phase! On Legs! With Front Covers! 36853 $10.00 $11.00	 login to bid. login to bid. LATE MODEL Duke Subway Edition Sandwich Prep Line That Separates Into 3 Pieces! 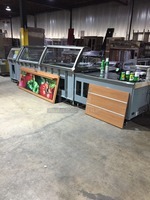 2 Refrigerated Sandwich Prep Stations With 1 Well Steam Table! With Cup Dispensing Station! With Curved Front Sneeze Guard! Model SUBCPTC60 Serial 09140462! 120V 1Phase! On Legs! With Front Covers! 2 WOW! LATE MODEL Par Pos System! With Epson Printer & Raygo Keyboard! With VeriFone Credit Card Machine! Model M770020003 Serial SA14525438! 44266 $1.25 $1.50	 login to bid. login to bid. WOW! 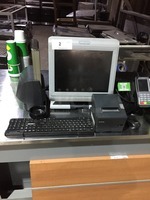 LATE MODEL Par Pos System! With Epson Printer & Raygo Keyboard! With VeriFone Credit Card Machine! Model M770020003 Serial SA14525438! 3 BEAUTIFUL! LATE MODEL Merrychef Commercial Countertop Electric Rapid Cook Oven! All Stainless Steel! Model EIKONE4S Serial 1405213090324! 208/240V! 81805 $34.99 $35.99	 login to bid. login to bid. BEAUTIFUL! LATE MODEL Merrychef Commercial Countertop Electric Rapid Cook Oven! All Stainless Steel! Model EIKONE4S Serial 1405213090324! 208/240V! 4 GREAT! Nuvu Subway Edition Double Deck Convection Oven/Proofer Combo! With View Through Doors! All Stainless Steel! Model SUB123 Serial 090700020206! 208V 3+N Phase! On Commercial Casters! 31523 $0.01 $0.26	 login to bid. login to bid. GREAT! Nuvu Subway Edition Double Deck Convection Oven/Proofer Combo! With View Through Doors! All Stainless Steel! Model SUB123 Serial 090700020206! 208V 3+N Phase! 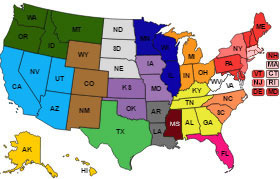 On Commercial Casters! 5 SWEET! LATE MODEL Duke Commercial Double Deck Electric Convection Oven/Proofer Combo! With View Through Doors! All Stainless Steel! 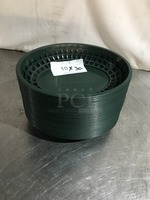 Model TSC6/18MM Serial 08141758! 208V 3Phase! On Commercial Casters! 31523 $0.26 $0.51	 login to bid. login to bid. SWEET! 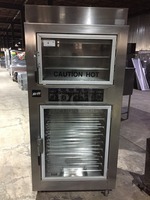 LATE MODEL Duke Commercial Double Deck Electric Convection Oven/Proofer Combo! With View Through Doors! All Stainless Steel! Model TSC6/18MM Serial 08141758! 208V 3Phase! On Commercial Casters! 6 Duke Commercial Counter! With Left Side Hand Sink & Faucet! With 2 Door Underneath Storage Space! With Backsplash! Stainless Steel Top! 69062 $0.00 $0.25	 login to bid. login to bid. Duke Commercial Counter! With Left Side Hand Sink & Faucet! With 2 Door Underneath Storage Space! With Backsplash! Stainless Steel Top! 7 (x2) GREAT! Cornelius Commercial Refrigerated 8 Flavor Carbonated Beverage Dispenser! With Ice-O-Matic Ice Maker! All Stainless Steel! Ice Machine Model ICE0500HA6 Serial 16071280011047! 115V 1Phase! On Duke Soda Serving Station! With Drip Board! With 3 Door Underneath Storage Space! With Stainless Steel Top! Model ED250BCZ Serial 62B1435ED064! 115V 1Phase! On Legs! 2 X Your Bid! Makes One Unit! $35.99	 login to bid. login to bid. GREAT! Cornelius Commercial Refrigerated 8 Flavor Carbonated Beverage Dispenser! With Ice-O-Matic Ice Maker! All Stainless Steel! Ice Machine Model ICE0500HA6 Serial 16071280011047! 115V 1Phase! On Duke Soda Serving Station! With Drip Board! With 3 Door Underneath Storage Space! With Stainless Steel Top! Model ED250BCZ Serial 62B1435ED064! 115V 1Phase! On Legs! 2 X Your Bid! Makes One Unit! 8 NICE! Foldcraft Wood Pattern Trash Can Shell! With Trash Deposit Hole! With Tray Return Top Shelf! With Single Door Underneath & Poly Trash Bin! 70622 $0.01 $0.26	 login to bid. login to bid. NICE! Foldcraft Wood Pattern Trash Can Shell! With Trash Deposit Hole! With Tray Return Top Shelf! With Single Door Underneath & Poly Trash Bin! 9 Bunn Commercial Countertop Infusion Tea/Coffee Brewing Machine! All Stainless Steel Body! Model ITCBDV Serial ITCB091143! 120V 1Phase! 69062 $0.01 $0.26	 login to bid. login to bid. 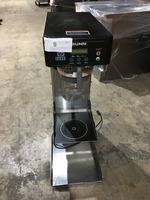 Bunn Commercial Countertop Infusion Tea/Coffee Brewing Machine! All Stainless Steel Body! Model ITCBDV Serial ITCB091143! 120V 1Phase! 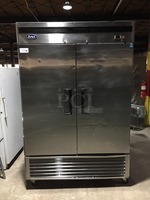 10 Lockwood Commercial Aluminum Food Holding Cabinet! Holds Half Sized Trays! Model CA60RR25! On Legs! 31523 $1.25 $1.50	 login to bid. login to bid. 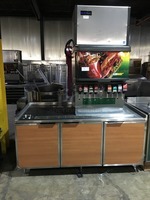 Lockwood Commercial Aluminum Food Holding Cabinet! 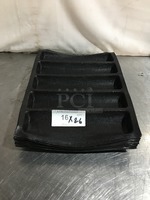 Holds Half Sized Trays! Model CA60RR25! On Legs! 11 General Commercial Countertop Microwave Oven! With View Through Door! All Stainless Steel! Model GEW1000E Serial 090000150700167! 120V! 70622 $1.25 $1.50	 login to bid. login to bid. 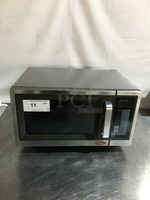 General Commercial Countertop Microwave Oven! With View Through Door! All Stainless Steel! Model GEW1000E Serial 090000150700167! 120V! 12 Nemco Commercial Countertop 5 Tier Cookie Display Case! All Stainless Steel! Model 6490SUBA! 96901 $0.61 $0.86	 login to bid. login to bid. 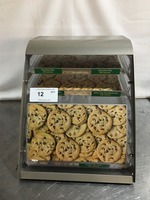 Nemco Commercial Countertop 5 Tier Cookie Display Case! All Stainless Steel! Model 6490SUBA! 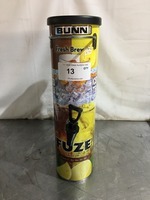 13 Bunn Commercial Countertop Beverage Dispenser! Model TDON3.5! 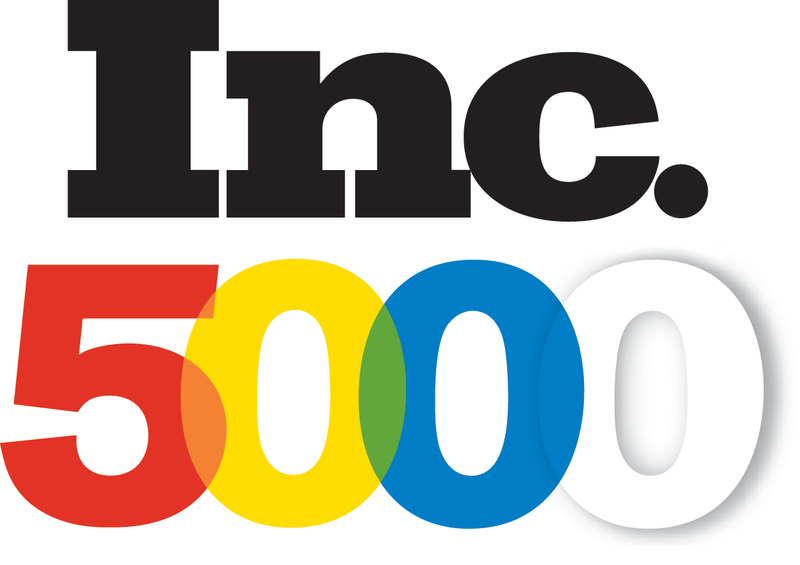 55705 $0.26 $0.51	 login to bid. login to bid. Bunn Commercial Countertop Beverage Dispenser! Model TDON3.5! 14 Bunn Commercial Countertop Beverage Dispenser! 55705 $1.25 $1.50	 login to bid. login to bid. Bunn Commercial Countertop Beverage Dispenser! 15 Bunn Commercial Countertop Beverage Dispenser! 55705 $1.10 $1.35	 login to bid. login to bid. 16 (x26) Mesh Bread Holders! 26 X Your Bid! Mesh Bread Holders! 26 X Your Bid! 17 (x4) Slipat 10 Bun Pan Liners! 4 X Your Bid! Slipat 10 Bun Pan Liners! 4 X Your Bid! 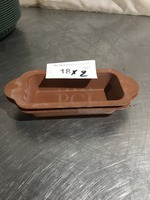 18 (x2) Ever Ocean Silicone Bread Loaf Mold! Model 1711G! 2 X Your Bid! Ever Ocean Silicone Bread Loaf Mold! Model 1711G! 2 X Your Bid! 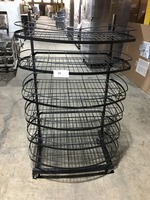 19 (x30) Subway Poly Food Serving Baskets! 30 X Your Bid! Subway Poly Food Serving Baskets! 30 X Your Bid! 22 ALL ONE MONEY! 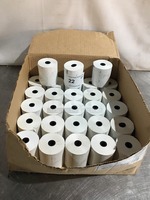 Receipt Paper Rolls! 71744 $0.01 $0.26	 login to bid. login to bid. ALL ONE MONEY! Receipt Paper Rolls! 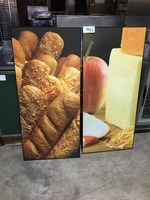 24 (x2) Wall Mount Pictures! 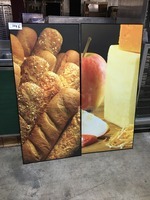 One Bread & One Cheese & Apple! 2 X Your Bid! Wall Mount Pictures! One Bread & One Cheese & Apple! 2 X Your Bid! 25 (x2) Wall Mount Pictures! One Bread & One Cheese & Apple! 2 X Your Bid! 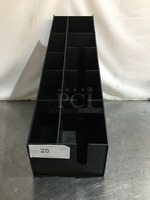 26 6 Tier Display Stand! On Commercial Casters! 70622 $5.00 $6.00	 login to bid. login to bid. 6 Tier Display Stand! On Commercial Casters! 27 (x2) Wooden Style Bar Height Chairs! With Back Rest! 2 X Your Bid! Wooden Style Bar Height Chairs! With Back Rest! 2 X Your Bid! 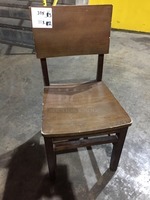 28 (x2) Wooden Style Bar Height Chairs! With Back Rest! 2 X Your Bid! 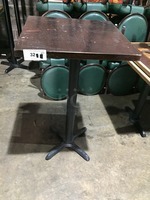 29 (x3) Wooden Style Bar Height Chairs! With Back Rest! 3 X Your Bid! Wooden Style Bar Height Chairs! With Back Rest! 3 X Your Bid! 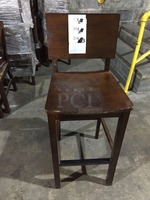 30 (x2) Wooden Style Bar Height Chairs! With Back Rest! 2 X Your Bid! 31 (x3) Wooden Style Bar Height Chairs! With Back Rest! 3 X Your Bid! 32 Wooden Style Bar Height Square Table! With Metal Base! Wooden Style Bar Height Square Table! With Metal Base! 33 GREAT! 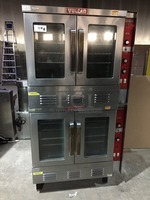 Vulcan Commercial Double Deck Natural Gas Powered Convection Oven! With View Through Doors! All Stainless Steel! Model SG1010B Serial 481131966! On Legs! 55705 $34.99 $35.99	 login to bid. login to bid. GREAT! 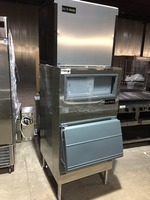 Vulcan Commercial Double Deck Natural Gas Powered Convection Oven! With View Through Doors! All Stainless Steel! Model SG1010B Serial 481131966! On Legs! 34 US Range Commercial Natural Gas Powered 8 Burner Stove! With Raised Backsplash & Salamander Shelf! With 2 Full Size Ovens Underneath! All Stainless Steel! Model PS82020 Serial 0307PX0163! On Commercial Casters! 55705 $0.75 $1.00	 login to bid. login to bid. 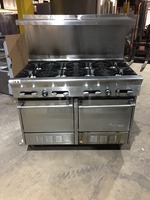 US Range Commercial Natural Gas Powered 8 Burner Stove! With Raised Backsplash & Salamander Shelf! With 2 Full Size Ovens Underneath! All Stainless Steel! Model PS82020 Serial 0307PX0163! On Commercial Casters! 35 GREAT! 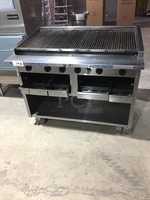 Bakers Pride Commercial Natural Gas Powered Char Broiler Grill! With Underneath Storage Space! All Stainless Steel! On Commercial Casters! 66433 $41.00 $42.00	 login to bid. login to bid. GREAT! Bakers Pride Commercial Natural Gas Powered Char Broiler Grill! With Underneath Storage Space! All Stainless Steel! On Commercial Casters! 36 (x2) Ice-O-Matic Commercial Ice Making Machine! With Ice Bin! All Stainless Steel Body! 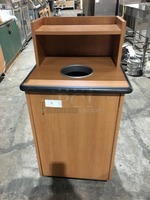 Ice Bin Model B70030 Serial J0476918316! Ice Machine Model ICE1006HW3 Serial 12051280011517! 208/230V 1Phase! On Legs! 2 X Your Bid! Makes One Unit! Ice-O-Matic Commercial Ice Making Machine! With Ice Bin! All Stainless Steel Body! 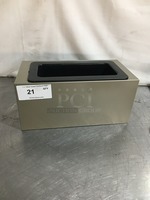 Ice Bin Model B70030 Serial J0476918316! 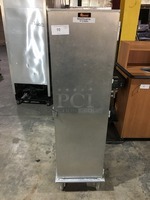 Ice Machine Model ICE1006HW3 Serial 12051280011517! 208/230V 1Phase! On Legs! 2 X Your Bid! Makes One Unit! 37 Atosa Commercial 2 Door Reach In Refrigerator! With Poly Coated Racks! All Stainless Steel! Model MBF8507 Serial MBF850707716032500C40012! 115V 1Phase! On Commercial Casters! 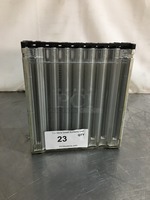 31523 $65.00 $70.00	 login to bid. login to bid. Atosa Commercial 2 Door Reach In Refrigerator! With Poly Coated Racks! All Stainless Steel! 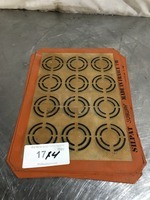 Model MBF8507 Serial MBF850707716032500C40012! 115V 1Phase! On Commercial Casters! 38 WOW! 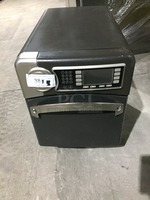 2012 Turbo Chef Commercial Countertop Turbo Oven! Model NGO Serial NGOD04596! 208/240V 1Phase! On Legs! 31523 $4.00 $5.00	 login to bid. login to bid. WOW! 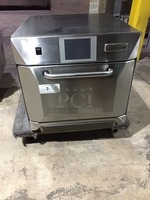 2012 Turbo Chef Commercial Countertop Turbo Oven! Model NGO Serial NGOD04596! 208/240V 1Phase! On Legs! 39 FAB! 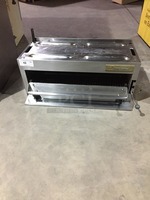 Hobart Commercial Under The Counter Heavy Duty Dishwasher! With Dish Rack! All Stainless Steel! LXI Series! 31523 $0.51 $0.76	 login to bid. login to bid. FAB! 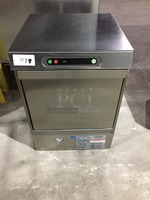 Hobart Commercial Under The Counter Heavy Duty Dishwasher! With Dish Rack! All Stainless Steel! LXI Series! 40 CMA Commercial Countertop Dual Hopper Coffee Bean Grinder/Espresso Machine! With Steam Wand! Stainless Steel Body! Model AK2AA Serial 342554! 220/230V! 49905 $51.00 $56.00	 login to bid. login to bid. 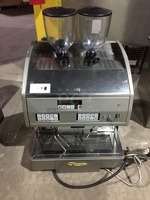 CMA Commercial Countertop Dual Hopper Coffee Bean Grinder/Espresso Machine! With Steam Wand! Stainless Steel Body! Model AK2AA Serial 342554! 220/230V! 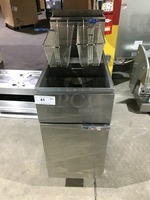 41 Commercial Natural Gas Powered Deep Fat Fryer! With 2 Metal Frying Baskets! With Backsplash! All Stainless Steel! On Legs! 55705 $0.51 $0.76	 login to bid. login to bid. Commercial Natural Gas Powered Deep Fat Fryer! With 2 Metal Frying Baskets! With Backsplash! All Stainless Steel! On Legs! 42 Garland Commercial Salamander! With Adjustable Lever! All Stainless Steel! 66433 $0.25 $0.50	 login to bid. login to bid. Garland Commercial Salamander! With Adjustable Lever! All Stainless Steel! 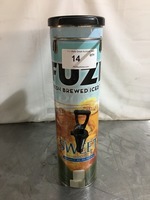 43 Beverage Air Commercial 2 Door Reach In Refrigerator! All Stainless Steel! Model PR21AS Serial 8811194! 115V 1Phase! 55705 $1.75 $2.00	 login to bid. login to bid. 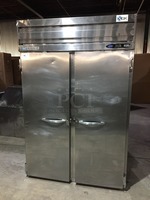 Beverage Air Commercial 2 Door Reach In Refrigerator! All Stainless Steel! Model PR21AS Serial 8811194! 115V 1Phase! 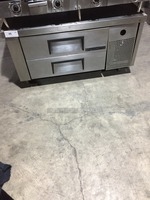 44 Garland Commercial Countertop Natural Gas Powered Flat Griddle! With Back & Side Splashes! All Stainless Steel! On Legs! 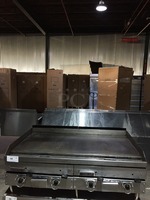 Garland Commercial Countertop Natural Gas Powered Flat Griddle! With Back & Side Splashes! All Stainless Steel! On Legs! 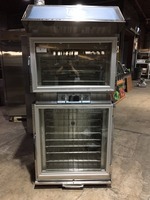 45 True Commercial Refrigerated Chef Base! With 2 Drawers! All Stainless Steel! Model TRCB48 Serial 7370055! 115V 1Phase! On Commercial Casters! 55705 $1.00 $1.25	 login to bid. login to bid. True Commercial Refrigerated Chef Base! With 2 Drawers! All Stainless Steel! Model TRCB48 Serial 7370055! 115V 1Phase! On Commercial Casters! 46 ALL ONE MONEY! 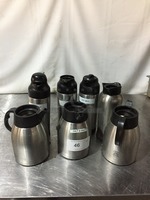 Commercial Stainless Steel Portable Beverage Dispensers! ALL ONE MONEY! 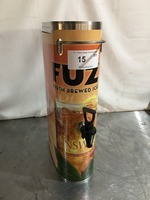 Commercial Stainless Steel Portable Beverage Dispensers! 47 (x5) NICE! Gold Round Serving Bowls! With Handles! 5 X Your Bid! NICE! 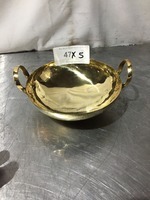 Gold Round Serving Bowls! With Handles! 5 X Your Bid! 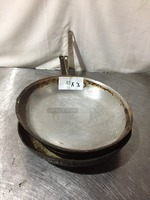 48 (x3) Assorted Frying Skillets! 3 X Your Bid! Assorted Frying Skillets! 3 X Your Bid! 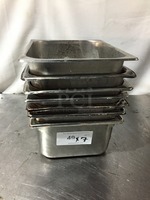 49 (x7) Stainless Steel 1/6 Deep Drop In Pans! 7 X Your Bid! Stainless Steel 1/6 Deep Drop In Pans! 7 X Your Bid! 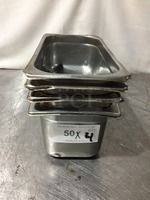 50 (x4) Stainless Steel 1/9 Deep Drop In Pans! 4 X Your Bid! Stainless Steel 1/9 Deep Drop In Pans! 4 X Your Bid!